Northville, MI GAF Roofer | Northville, MI GAF Roofing | Northville, MI GAF Roofing Contractor | Northville, MI GAF Master Elite Contractor | Northville, MI Certified GAF Master Elite ContractorMcGlinch & Sons CO.
McGlinch & Sons has been serving clients with their home improvements all over the Greater Detroit Metropolitan Area since 1917. McGlinch & Sons is the place for you if it’s GAF roofing that you’re looking for. For many years we have been well-known for delivering outstanding roofing services done by our certified GAF Master Elite contractors. We don’t just hire anyone at McGlinch & Sons, our Master Elite contractors have to be in the business for a minimum of seven years, including one year in the certified program, have a superb credit rating, one million general liability coverage, verifiable customer’s satisfaction, etc. GAF is the largest roofing manufacturer North America and has been accredited for selling the greatest GAF roofing products. Since we don’t hire just anyone, it is no wonder that whenever Northville customers are looking for the best GAF roofing contractors, they contact McGlinch & Sons! Another reason is because only about 3% of the total roofers nationwide are GAF roofers and we have the best! Northville, Michigan is located in Oakland County as well as divided by Wayne County. About 6,000 people reside in Northville. Farmington, the home of McGlinch & Sons is located about 7.8 miles from Northville. Our family-owned and operated business with four generations of background and know-how in the home improvement industry is why clients of Northville continually choose McGlinch & Sons. The residents of Northville can appreciate the service we deliver because we make sure that they get the highest quality of GAF roofing. Likewise, every time we do a project we make sure that all of your expectations are met. There are always new clients that are in need of GAF roofing and we like to leave them with a great impression so they know that they can always count on us! At McGlinch & Sons we do what we can to keep you coming back to us whenever you need GAF roofing done to your property. McGlinch & Sons always gives our clients the quality and expertise their looking for. Our GAF roofers will always bring to your GAF roofing project nearly a century’s worth of talent and skill. 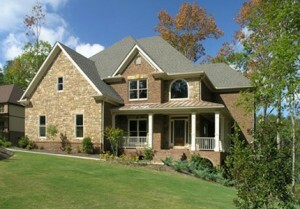 Our certified GAF Master Elite contractors that are a part of our business will value your time. McGlinch & Sons will also offer you a lifetime warranty on our GAF roofing shingles, give you a FREE in-home estimates and a 25-year non-prorated labor warranty that is considered “the best in the industry”. If you have been thinking about getting a roof installed, then get in touch with McGlinch & Sons! Let our certified Master Elite contractors provide you with a fail-safe warranty! Call us today for the up-to-date GAF roofing you warrant and at a price you can be content with. Here are the numbers to our following locations: West Side: (313) 278-2777, Oakland: (248) 987-6300 and East Side: (586) 776-8912.